While learning the fundamentals of archery, campers examine equipment close up, identify the parts of the bow and arrow, and learn the science behind drawing the bow and releasing the arrow. Instructors teach proper grip, stance and aim alignment. Equipment is provided. Campers embark on a climbing adventure! Campers will gain new skills and self-confidence every day through a variety of climbing activities. Campers test their strength, strategy, and skill while learning safety procedures, belay techniques, knot tying and proper climbing techniques. 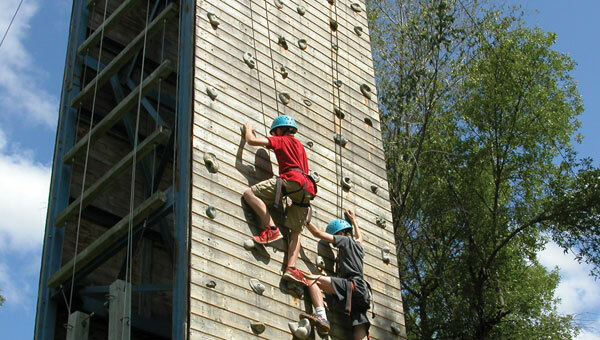 On Friday, campers test their climbing skills on one of YMCA Camp Ihduhapi’s high adventure elements!